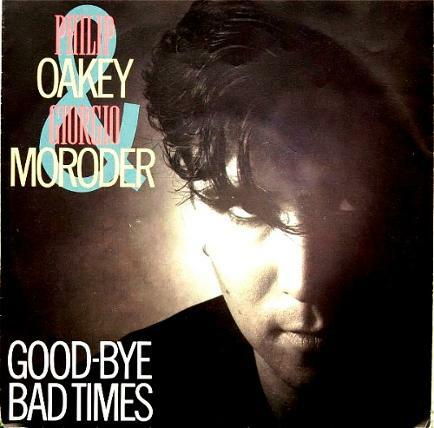 PHILIP OAKEY AND GIORGIO MORODER "GOOD-BYE BAD TIMES"
This catchy synthpop tune was the follow-up to the smash hit Together In Electric Dreams, but much to the disbelief of Virgin records, only reached #44 in the UK singles chart. A large budget was spent on creating the video, and for the third and final single release by the duo, Be My Lover Now, the budget was cut. 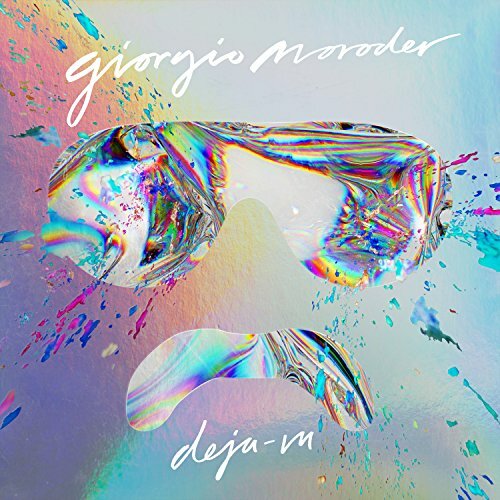 That final single only reached #74 and, subsequently, due to the poor performance of two out of three singles, the imaginatively titled album Philip Oakey & Giorgio Moroder was also a commercial flop. The collaboration should have produced a classic album. Oakey's deadpan voice fits in with the electronica sound perfectly. The synth tunes are catchy, bit it all sounds a little bit rushed. The repetitiveness of some of the drum and percussion tracks make it sound, at times, like the loop button was pressed on a drum machine. There are some decent enough tracks, but overall, this doesn't sound like the work of an academy award-winning music producer, and the opportunity to make a classic album was truly missed.